My apologies for the unexpected absence last week, but a huge thanks to fizzle for stepping up. On to the links! Mario Chalmers has been honored as part of a mural in downtown Kansas City. 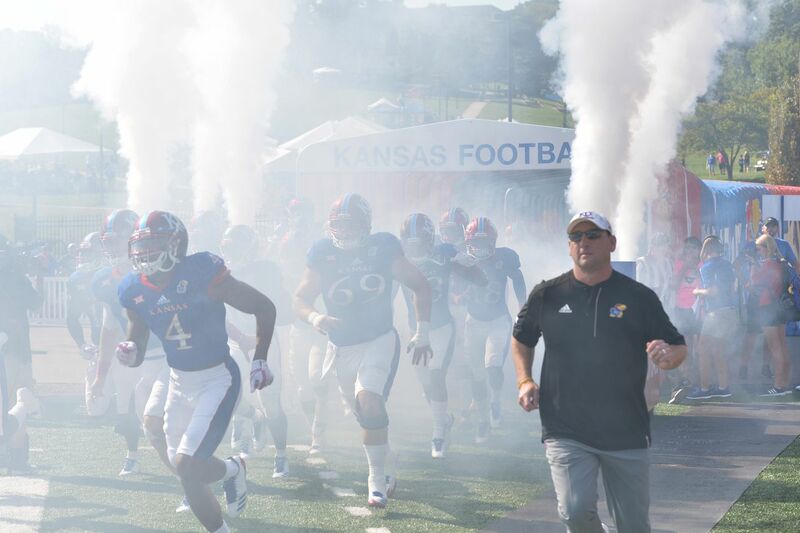 It looks like it may be a three-man race for starting QB for KU this fall as newcomer Miles Kendrick seems to really be pushing the two incumbents. Andru Tovi, who started 8 games next to Mesa Ribordy at guard last fall, looks to have the first shot at becoming KU’s starting center this year. #17 Kansas women’s tennis smoked K-State over the weekend. Kansas softball had a rough weekend at #2 Oklahoma (but then again, so have most teams that have gone in there). Kansas women’s soccer is unbeaten so far in seven matches in the spring exhibition season. The Kansas Relays start this coming Friday the 20th. Andrew Wiggins scored the first bucket of the game for the T-Wolves, but they fell in Game 1 against the Rockets 105-101. The end of the game was a pretty weird sequence of events. Indiana torched Cleveland and completely embarrassed Lebron James and all of his fans. Or something like that. Instant Replay is coming to a high school near you. Well, if you live in Alabama, that is.